Nature demonstrates how puny we are—an aerial shot of a ­damaged highway in Alaska in November after back-to-back earthquakes. 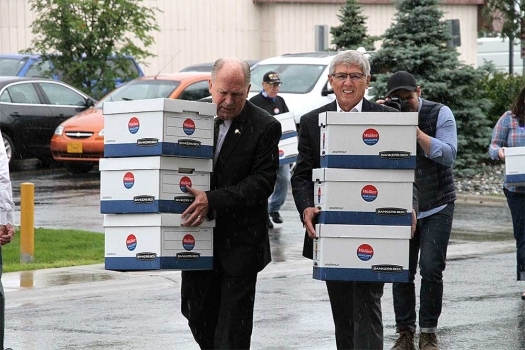 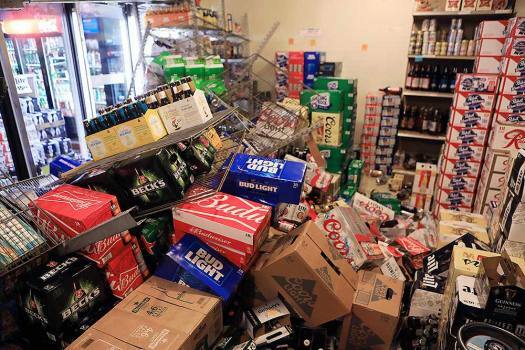 Cases of beer lie jumbled in a walk-in cooler at a liquor store, Value Liquor, after an earthquake in Anchorage, Alaska. 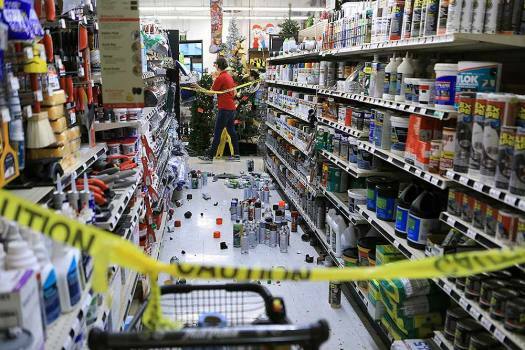 An employee walks past a damaged aisle at Anchorage True Value hardware store after an earthquake in Anchorage, Alaska. 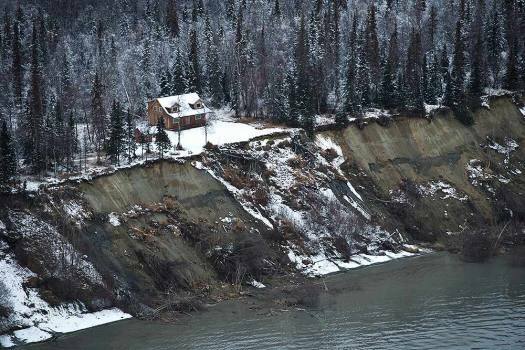 This aerial photo shows a landslide on the northwest side of Knik Arm after earthquakes in the Anchorage area, Alaska. 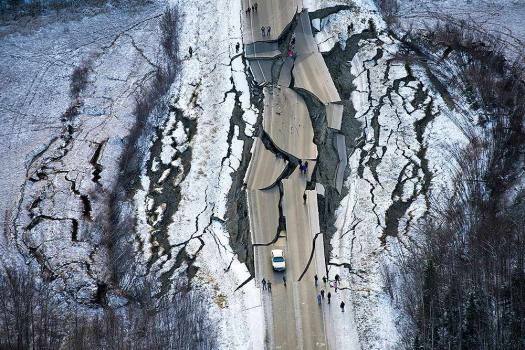 This aerial photo shows damage on Vine Road, south of Wasilla, Alaska, after earthquakes. 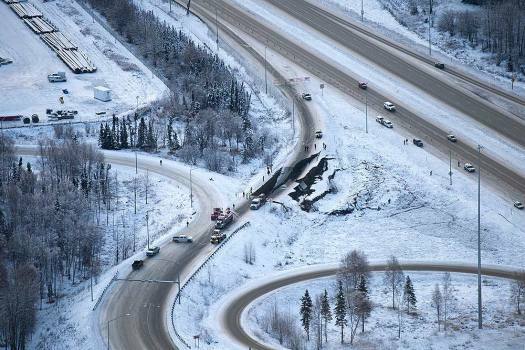 This aerial photo shows damage at the Glenn Highway near Mirror Lake after earthquakes in the Anchorage area, Alaska. 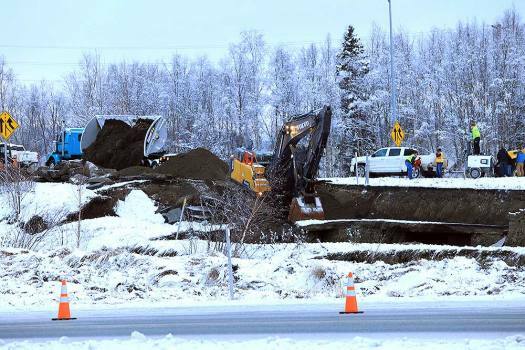 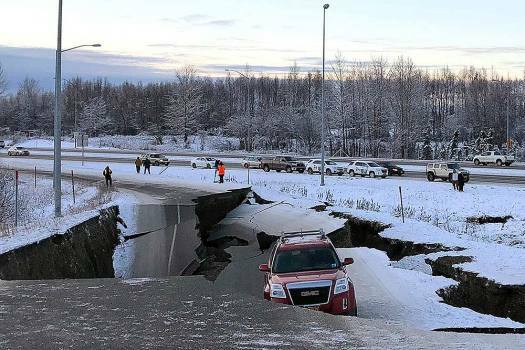 A ramp from International Airport Road to Minnesota Drive was damaged in an earthquake in Anchorage, Alaska. 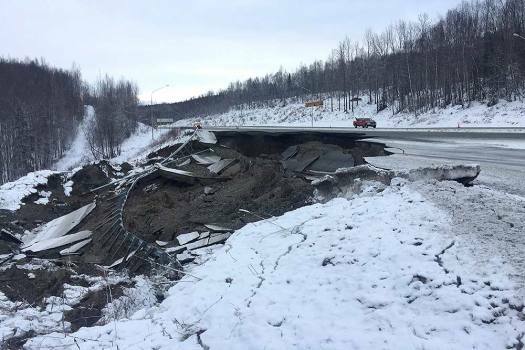 Damage from an earthquake is seen on the Glenn Highway southbound lanes between Eklutna and Mirror Lake, in Alaska. 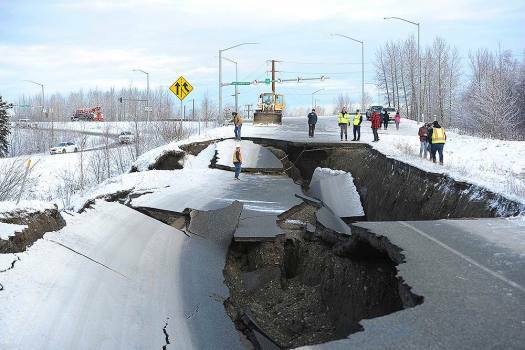 Workers inspect an off-ramp that collapsed during a morning earthquake in Anchorage, Alaska. 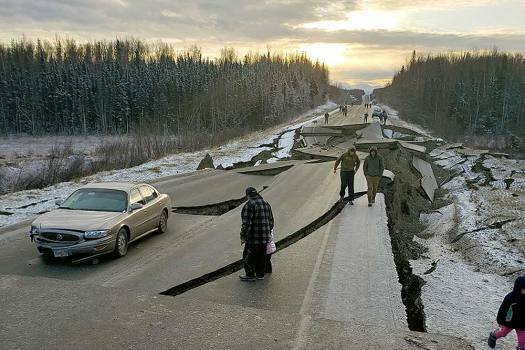 In this photo provided by Jonathan M. Lettow, people walk along Vine Road after an earthquake, in Wasilla, Alaska. 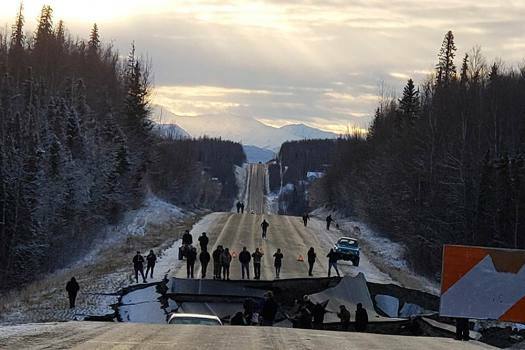 In this photo provided by Jonathan M. Lettow, people walk along Vine Road after an earthquake in Wasilla, Alaska. 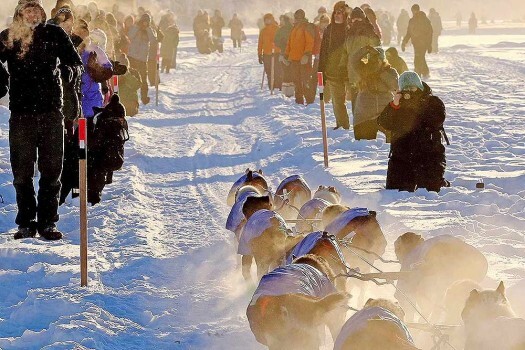 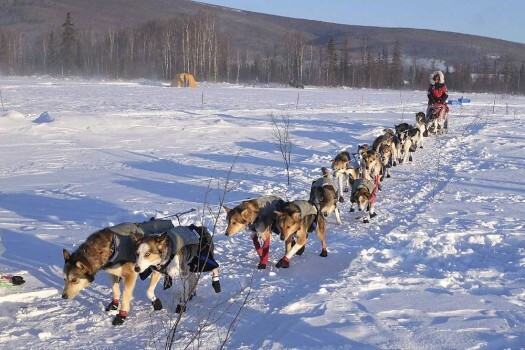 A haze hangs around spectators on the Chena River as teams left Fairbanks, Alaska, during the start of the Yukon Quest sled dog race. 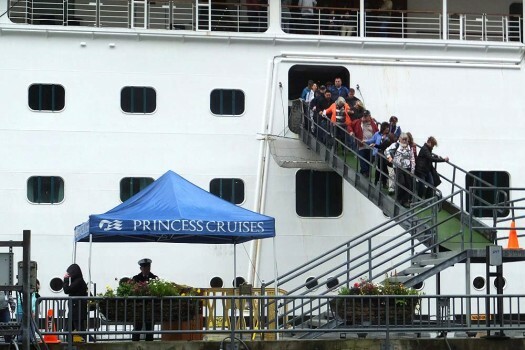 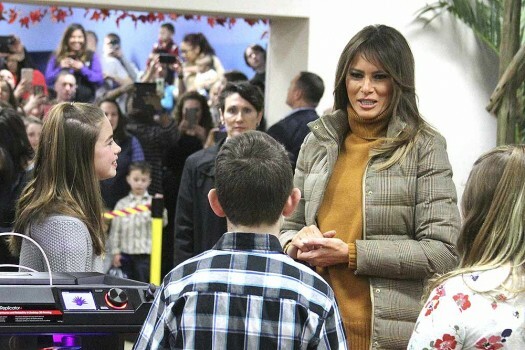 No tsunami arrived and there were no immediate reports of deaths or serious injuries. 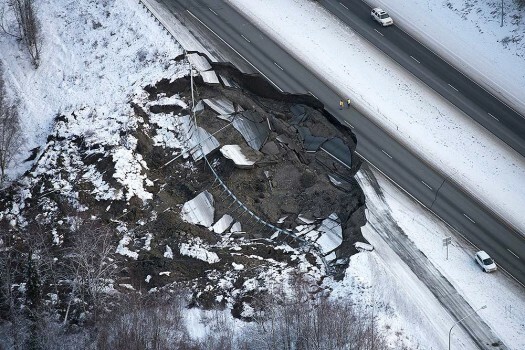 It was the strongest earthquake ever recorded in the region, with the previous most powerful quake being recorded in 1995 at magnitude 5.2. 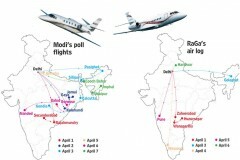 People in the affected areas are being told to seek refuge on higher grounds.